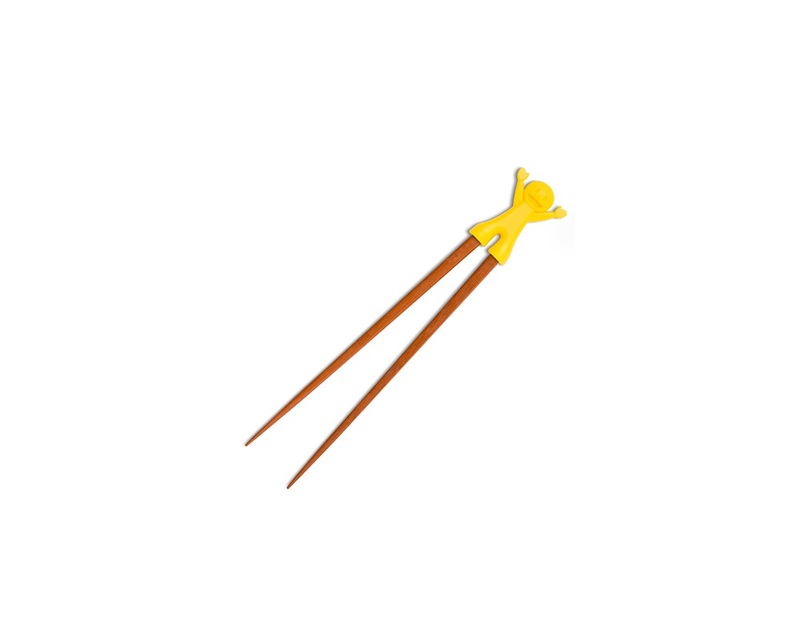 Silicone chopstick holder for beginners made in China. 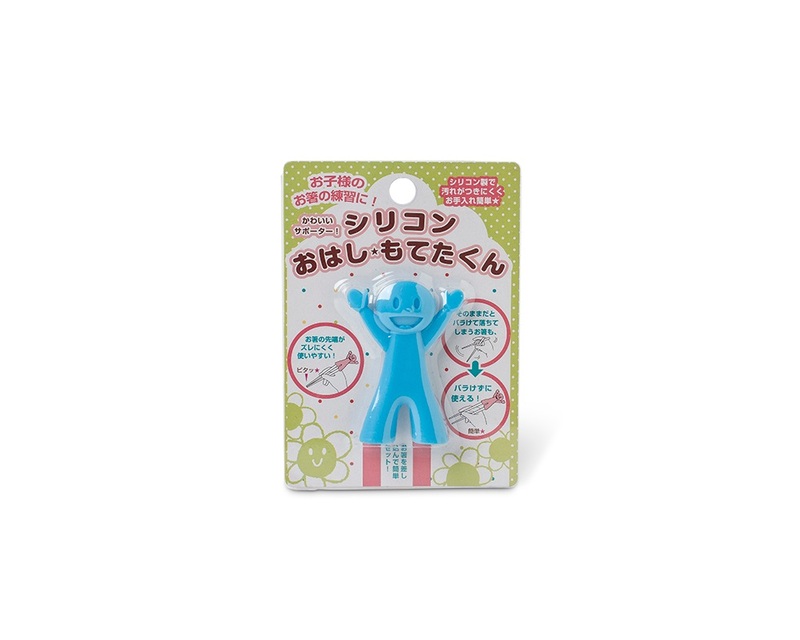 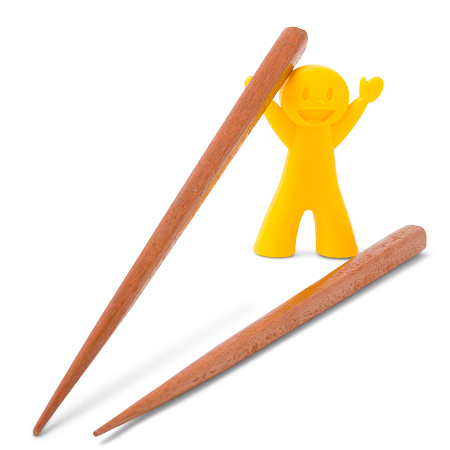 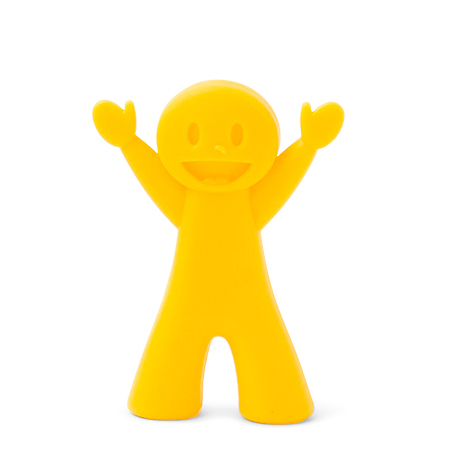 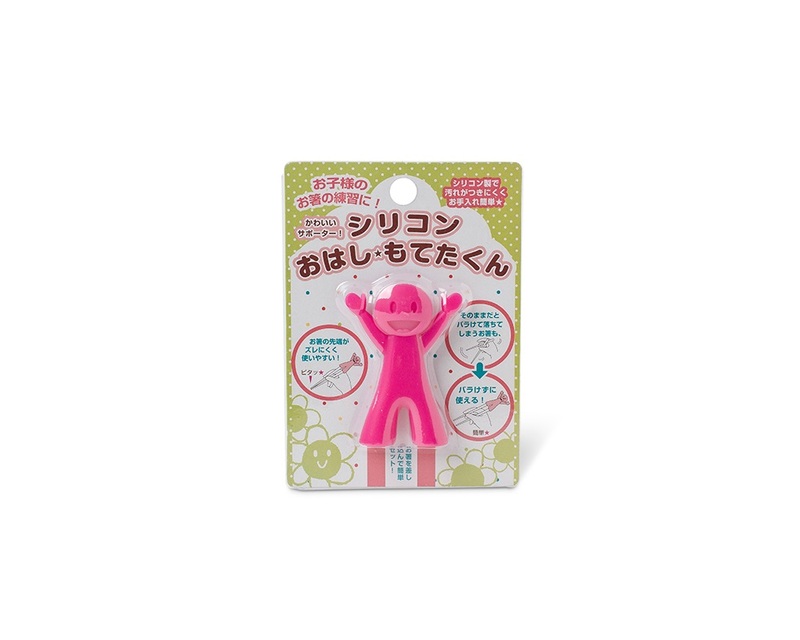 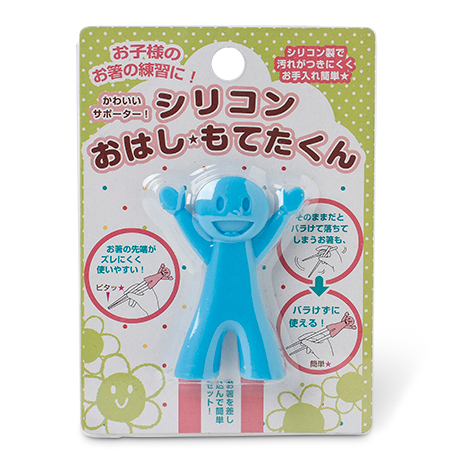 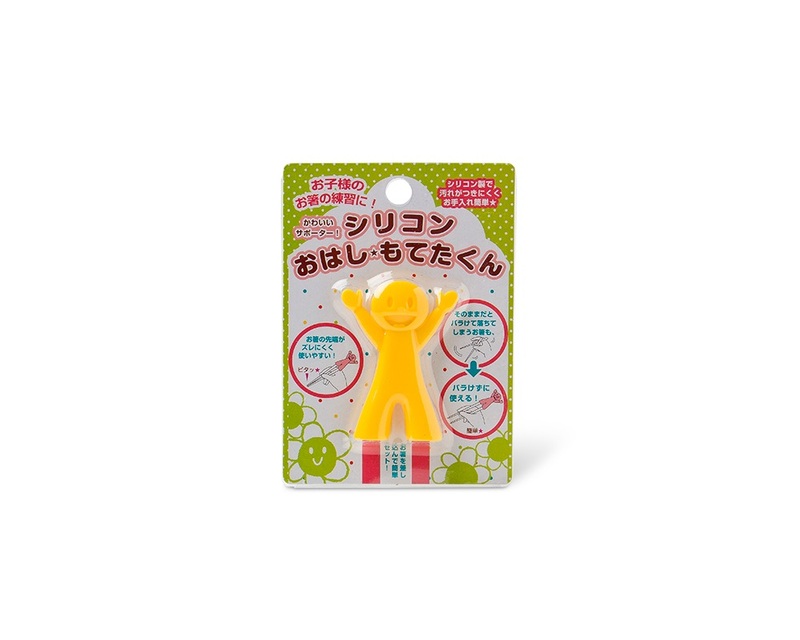 Cute helpers for those who are beginners to the chopstick way of life. 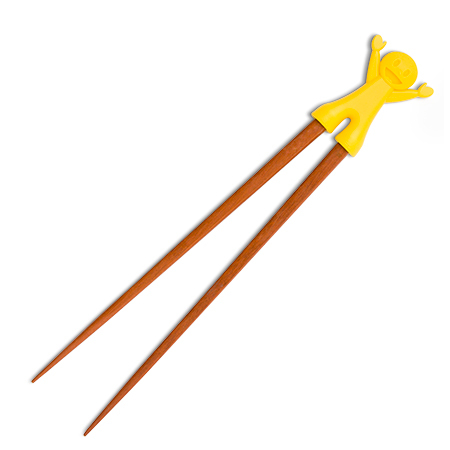 Just insert the ends of chopsticks into the legs and they stay together, making it much easier to eat! 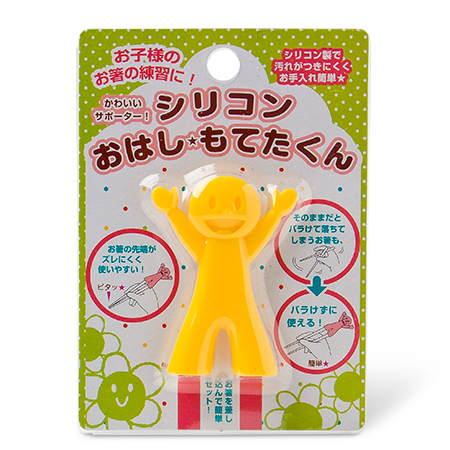 Great for kids and adults! 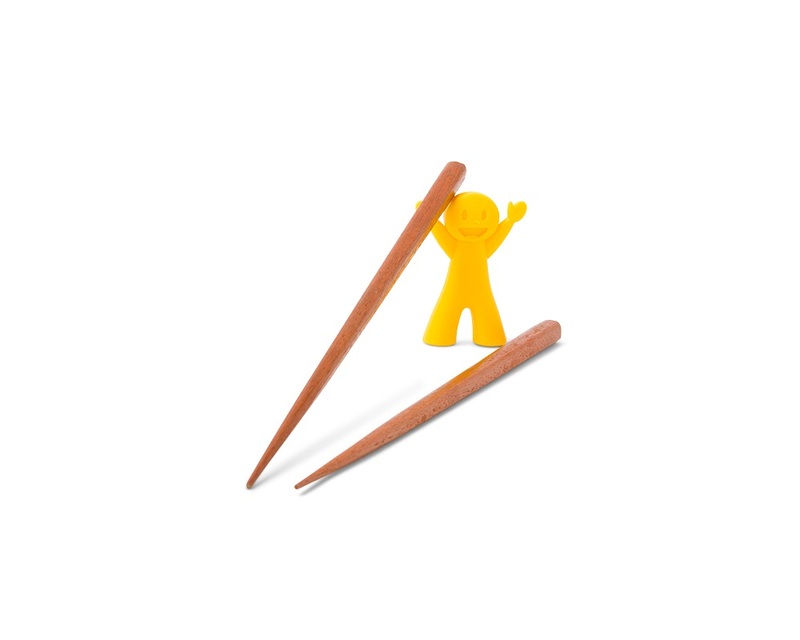 Fits standard chopsticks. 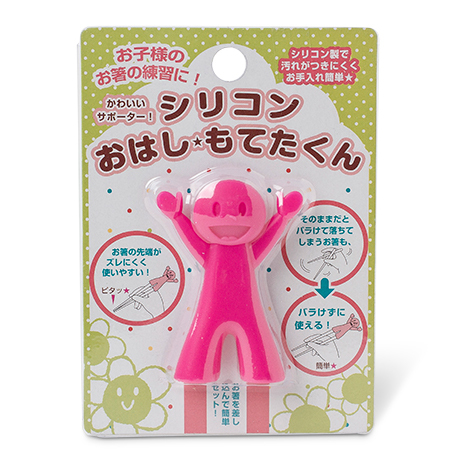 Available in Pink, Yellow and Blue! 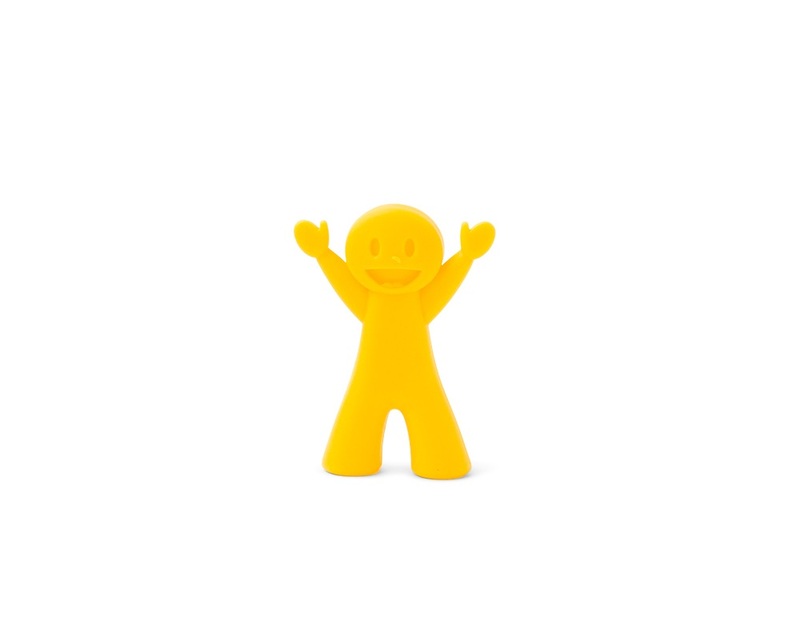 Specific color cannot be ordered.